San Diego – For more than 20 years China has been the largest trademark register in the world, and the pace of filings are only continuing. The increase is party tied to overall economic growth in China. In the first quarter of 2018, China’s GDP rose 6.8 percent and is predicted to increase another 6.7 percent in the next quarter. Along with GDP, the trademark filing activity has had rapid growth. Within the past two years, China’s trademark applications have doubled. To put the numbers into perspective, in 2017 China had ten times more trademark applications than the United States. Compared to Europe the numbers are even more surprising. More than 116,000 trademark applications were filed in China in the first week of September in 2017, which is more trademark applications than were submitted for the entire year of 2016 in the European Union Intellectual Property Office. China’s trademark dominance is not limited to just China. Chinese applicants filed close to 120,000 foreign applications in 2017. Although China makes up only 19% of the world’s population, it holds more than 50% of the worlds trademark applications. In a span of 10 years, Chinese brands have moved from number ten to number two in worldwide trademark filing volume. The United States currently holds the number one spot, but at China’s rate in growth, it will soon overtake the United States for the number one spot. If China continues at its current rate of growth, it will take first place by 2020. In the United States, one out of ten trademark applications filed by a Chinese applicant. 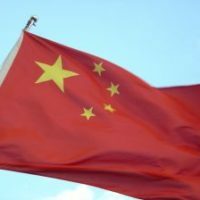 The recent increase in Chinese filed applications in the U.S. has caused some concern because the United States Patent and Trademark Office is currently feeling a backlog from the increased Chinese activity. Others are concerned by the flood of foreign filings in the U.S. because it is making it more difficult for U.S. businesses to get trademarks registered here. Over the last four years, we have seen a significant change with China’s 1.4 billion consumers in trademark filing activity. At the current pace of growth, there is no letdown in sight.